The panel, which will be hosted by Kinda Funny’s Greg Miller, will last 60 minutes and will showcase “never before seen in-game” footage from the game’s story. Members of Infinity Ward will be on hand as well to share new details and provide insight in the creative process of Infinite Warfare. 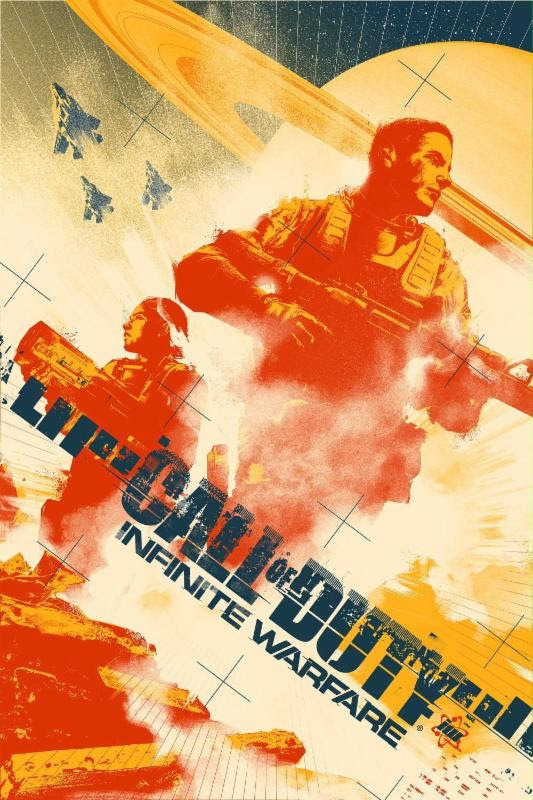 If you manage to make it into the panel, attendees will also receive a limited edition Infinite Warfare lithograph poster which was created with Mondo and drawn by artist Matt Taylor. You can be sure that once we’re able to get our mitts on that new gameplay footage, we’ll get it up on the site. Call of Duty: Infinite Warfare will be out this November 4 for the PS4, Xbox One and PC.